Specification: PC PII 233, Windows 9x, DirectX 7.0 or greater. 32MB RAM, 600MB Hard Drive space, 4x CD-ROM, 4MB DirectX Graphics card and DirectX Sound card, keyboard & mouse. 'In the northernmost reaches of the Forgotten Realms lies the frozen and untamed region known as Icewind Dale. Journey deep into the Spine of the World mountains, a harsh and unforgiving territory teaming with fearsome and merciless beasts. There you must confront an ancient evil that threatens to unleash an unspeakable horror upon the face of Faerun. Battle Ice Trolls, Giants, and hordes of Undead. Over 70 types of new monsters put your valour to the test in real-time combat using the Baldurs Gate adaption of the Advanced Dungeons and Dragons game system. Adventure through a wide range of breathtaking environments and beautifully rendered, scrolling terrain. Explore the region known as Icewind Dale, from magnificent temples and ancient ruins to volcanic caverns and icy plains. The Bioware Infinity Engine brings Icewind Dale to life with dynamic real-time lighting and weather effects, astounding combat, spell effects and visually-rich, immersive gameplay. Complete multplayer support for up to six players over LAN or internet connections. 'Icewind Dale will incorporate the award-winning gameplay elements from Baldur's Gate, offering players a chance to hone their combat skills while exploring the enormous caverns and dungeons beneath the Forgotten Realms. Players create a party of adventurers in the frigid north. They must combat monstrous cyclopses and frost giants that dwarf the player characters as they search for an evil lying deep within the Spine of the World. Icewind Dale offers character advancements form levels one through 15 in the most recent adaptation of AD&D rules under license form Wizards of the Coast. 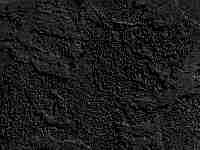 The official Icewind Dale web site. The Icewind Dale Expansion Pack: Heart of Winter. The Icewind Dale Official Strategies and Secrets Guide. Its Not much different from Balder's Gate, but the plot is much different. The graphics are a little better then Balder's Gate, but the music awesome, not to mention the game options are easier to get to and use. The charecters are also a great part of this game. The pictures of them are more elaborate than in Balder's Gate, they have better bios. too. I guess what I'm trying to say is that if you've ever played Balder's Gate and you don't own this game, go buy it! 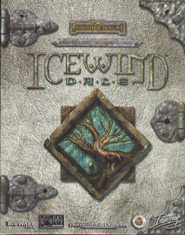 Icewind Dale is everything you would ever want in a computer game. It is set in Salvatores setting of Icewind Dale. However, rather than just copy his setting, it expands, in fact has nothing to do with what has come before. They boldly venture onto new heights! The game has everything, a wonderful plot, nonstop action, and the dialogue is hilarious! The scenery is exscuisitly detailed, and the npc's wonderful. You couldn't ask for a better game! My only regret is that it isn't longer. If your going to get one game this year, get Icewind Dale!